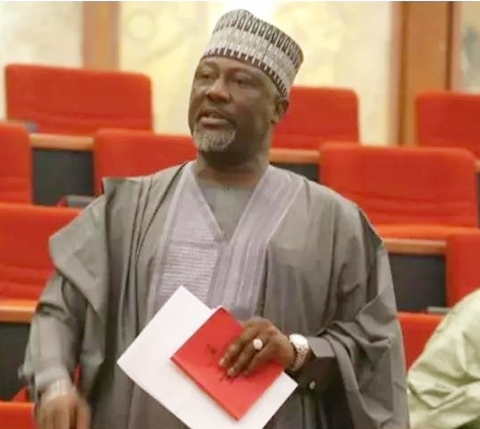 Dino Melaye, lawmaker representing Kogi west senatorial district, has surrendered to the police after over a week siege at his Abuja residence. The police had vowed not to leave Melaye’s residence without arresting him. He was accused of culpable homicide, an allegation he denied. The 8-day siege marked at least the fourth attempt to arrest Mr Melaye by the police in 2018. The police, in a statement by its spokesperson, Jimoh Moshood, while speaking on the reason for laying siege to Mr Melaye’s residence, said the senator, alongside his ‘armed thugs’, shot one Danjuma Saliu, a sergeant, in July 2018. Rather than debunk or admit the fresh allegations made by the police, Mr Melaye simply said in a tweet, on Tuesday, that he is being wise and not scared, by hiding.